Lawsuit claims that the rapper lifted lyrics for "In Da Club." "In Da Club" was the ubiquitous smash hit of 2003, stamping 50 Cent's arrival as a hip-hop giant and lifting Get Rich or Die Tryin' to multiplatinum status. But was the song his own? A lawsuit filed by attorney Richard C. Wolfe says otherwise. The suit was filed on behalf of Lil' Joe Wein Music, which retains the copyright for songs produced by Luther Campbell as a solo artist and as a member of the influential rap group 2 Live Crew . Campbell, who has severed ties with his former management and declared bankruptcy in 1994, is not involved in the suit. According to Wolfe, "In Da Club" borrows liberally from Campbell's "It's Your Birthday," which appeared on his not-so-ubiquitous 1994 solo album Still A Freak For Life . On the track in question, a hyper Campbell shouts the title over a chorus of "Go! Go! Go! Go!" The lawsuit also claims that another of Campbell's songs, "I Like It, I Love It," appears on the DVD 50 Cent: The New Breed . 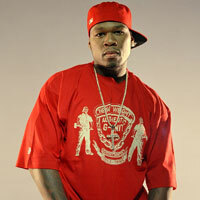 According to Wolfe, Get Rich or Die Tryin' raked in $150 million, and 50 Cent remains one of the best-selling and highest-grossing entertainers in the industry. If a jury agrees that Fiddy lifted from Campbell, Wolfe said, it would be upon them to determine the amount of damages awarded. Due to the pending legal action, the rapper's side has declined comment. Wolfe, incidentally, was also the victorious attorney in the suit that forced Campbell into bankruptcy, having won a $2.3 million judgment against Campbell on behalf of rapper Peter Jones.